Hepatocellular carcinoma (HCC) is an invasive malignant tumor. Although the diagnostic techniques and treatment levels of hepatocellular carcinoma have made great progress, the early diagnosis of HCC is still a huge challenge. In this paper, we attempt to analyze core genes associated with clinical staging by gene network for information on the discovery of early HCC patients and improving the diagnostic techniques and treatment levels of HCC. First, we selected the gene expression data of 219 patients with early postoperative HCC in the GEO database, performed differential expression analysis, and randomly divided the data into training set and test set. We use the genes of training set to clustering out five modules by weighted gene co-expression network (WGCNA), and performed functional enrichment and pathway enrichment analysis for each gene module. We found that the blue module is related to some biological processes such as cell proliferation, division, cycle and DNA replication initiation, replication, repair, and this module is also related to some pathways such as cell cycle, P53 signaling pathway, HTLV-I infection, hepatitis B. These processes and pathways are closely related to the occurrence and development of HCC. Therefore, we use the enriched genes of the module for PPI network analysis, and 10 core genes that we selected with high connectivity is BUB1B, CCNA2, CCNB1, CCNB2, CDC20, MAD2L1, MCM4, PCNA, RFC4, and TOP2A. Then through the supervised learning of core genes in random forests, a classification model of BCLC staging was established and then applied to the test set. The study found that the method has a great help for the classification of early patients, and the correct rate reached 95.52%, but for the patients in the middle and late stages. The classification effect is not very good. This study raises awareness of the pathogenesis and staging of HCC. And it provides a new direction for HCC targeted therapy. El-Serag, H.B. and Rudolph, K.L. (2007) Hepatocellular Carcinoma: Epidemiology and Molecular Carcinogenesis. Gastroenterology, 132, 2557-2576. Mikulits, W. (2018) Epithe-lial to Mesenchymal Transition in Hepatocellular Carcinoma. Future Oncology, 5, 1169. 李保国. 肝细胞癌预后相关细胞分子生物标志物研究进展[J]. 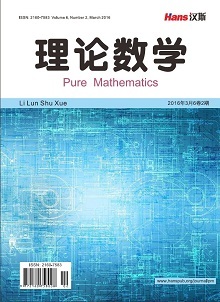 国际肿瘤学杂志, 2015, 42(5): 395-398. 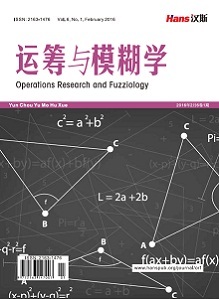 Kensler, T.W., Qian, G.S., Chen, J.G., et al. (2003) Translational Strategies for Cancer Prevention in Liver. Nature Reviews Cancer, 3, 321-329. Jou, J., Choi, S.S. and Diehl, A.M. (2008) Mechanisms of Disease Progres-sion in Nonalcoholic Fatty Liver Disease. Seminars in Liver Disease, 28, 370-379. Wallace, D.F. and Subramaniam, V.N. (2009) Co-Factors in Liver Disease: The Role of HFE-Related Hereditary Hemochromatosis and Iron. Biochimica et Biophysica Acta (BBA)/General Subjects, 1790, 663-670. Sun, V. and Sarna, L. (2008) Symptom Management in Hepatocellular Carcinoma. Clinical Journal of Oncology Nursing, 12, 759-766. Tanaka, S. and Arii, S. (2010) Molecular Targeted Therapies in Hepatocellular Carcinoma. Hepatology, 48, 1312-1327. Wang, L., Tang, H., Thayanithy, V., et al. (2009) Gene Networks and microRNAs Implicated in Aggressive Prostate Cancer. Cancer Research, 69, 9490-9497. Horvath, S., Zhang, B., Carlson, M., et al. (2006) Analysis of Oncogenic Signaling Networks in Glioblastoma Identifies ASPM as a Molecular Target. Proceedings of the National Academy of Sciences of the United States of America, 103, 17402-17407. Ivliev, A.E., ‘t Hoen, P.A.C. and Sergeeva, M.G. (2010) Coexpression Network Analysis Identifies Transcriptional Modules Related to Proastrocytic Differentiation and Sprouty Signaling in Glioma. Cancer Research, 70, 10060-10070. Bolstad, B.M., Irizarry, R.A., Åstrand, M., et al. (2003) A Comparison of Normalization Methods for High Density Oligonucleotide Array Data Based on Variance and Bias. Bi-oinformatics, 19, 185-193. Smyth, G.K. (2005) Limma: Linear Models for Microarray Data. Bioinformatics & Computational Biology Solutions Using R & Bioconductor, 397-420. 王攀. 加权基因共表达网络分析(WGCNA)在食管鳞癌中的应用[D]: [博士学位论文]. 北京: 北京协和医学院中国医学科学院; 北京协和医学院; 中国医学科学院; 清华大学医学部, 2014. Langfelder, P. and Horvath, S. (2008) WGCNA: An R package for Weighted Correlation Network Analysis. BMC Bioinformatics, 9, 559. 宋长新, 雷萍, 王婷. 基于WGCNA算法的基因共表达网络构建理论及其R软件实现[J]. 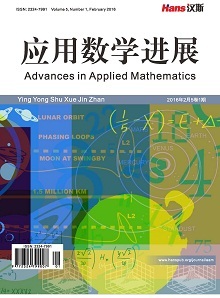 基因组学与应用生物学, 2013, 32(1): 135-141. Kandaswamy, K.K., Chou, K.C., Martinetz, T., et al. (2011) AFP-Pred: A Random Forest Approach for Predicting Antifreeze Proteins from Se-quence-Derived Properties. Journal of Theoretical Biology, 270, 56-62. 武晓岩, 李康. 随机森林方法在基因表达数据分析中的应用及研究进展[J]. 中国卫生统计, 2009, 26(4): 437-440. Langfelder, P., Zhang, B. and Horvath, S. (2008) Defining Clusters from a Hierarchical Cluster Tree: The Dynamic Tree Cut Package for R. Bioinformatics, 24, 719-720. Marr, D. (1982) Vision: A Computational Investigation into the Human Representation and Processing of Visual Information. Quarterly Review of Biology, 8. 李敏, 陈建二, 王建新. 基于复杂网络理论的PPI网络拓扑分析[J]. 计算机工程与应用, 2008, 44(8): 20-22. Saito, R., Smoot, M.E., Ono, K., et al. (2012) A Travel Guide to Cytoscape Plugins. Nature Methods, 9, 1069-1076. 周慧蕾. CCNB1和CCNA2在人类正常邻近组织和肺癌中不同功能激活及抑制转换机制与网络构建[D]: [硕士学位论文]. 北京: 北京邮电大学, 2015. 李立人, 施公胜, 孙超. PCNA和VEGF在肝细胞肝癌中的表达意义[J]. 世界华人消化杂志, 2005, 13(4): 560-561. 华骁帆. 早期非特殊性浸润性乳腺癌TOP2a蛋白表达与分级、分期及分子分型相关性分析[D]: [硕士学位论文]. 苏州: 苏州大学, 2016. 彭绍华, 杨剑锋, 谢平平, 等. 细胞周期蛋白在肝细胞癌组织中的表达及其与肿瘤细胞凋亡的关系[J]. 癌症, 2005, 24(6): 695-698.